After two years of Tory council cuts from Royston Smith, since elected to run the council in 2012, Labour have continued to swing the axe. A vote for Labour on May 22nd is a vote for £30 million of cuts and privatisation to Southampton jobs and services. We need councillors like Keith Morrell and Don Thomas in Coxford, Southampton who refused to vote for cuts and fought the Labour council to save Oaklands Swimming Pool. 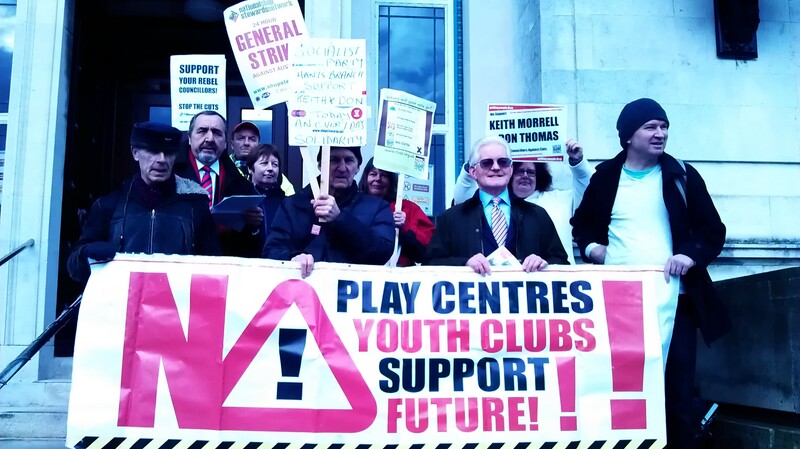 That is why TUSC supporters are campaigning to re-elect Keith Morrell in Coxford, Southampton. Let’s fight the ConDem government for the money Southampton needs to provide, jobs, affordable housing, and services for the young, old and vulnerable.